Welcome to the USFL site's Collectors' Corner. 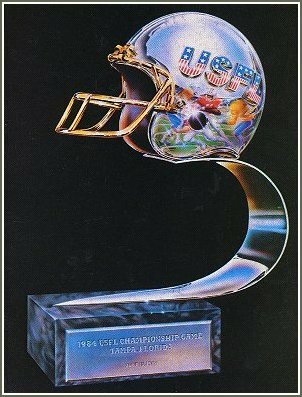 This page will feature USFL and USFL-related collections from around the country and even around the world. Please contact us if you would like your memorabilia featured here. Click on the names below to check out each person's collection. Enjoy! League and team media guides and game programs.